This story builds upon the origins of the Snyder family posted last week, and follows the history of Albert and Grace Snyder. A.B. “Bert” Snyder was born on his father’s Nemaha County homestead on February 2, 1872. Ten years later he moved with his family to Maxwell, Nebraska. At age fifteen he went West and cowboyed in Wyoming and Montana in the closing years of the open range period. It was there that he was given his well-known nickname of “Pinnacle Jake”. Ten years later, in the spring of 1897 he filed on a quarter section of land on Squaw Creek in southwest McPherson County. That section of the country was still open range and he began to accumulate a herd of cattle of his own. In 1902 he sold his quarter and bought the “Patterson place,” a quarter section homestead eleven miles west of Tryon. 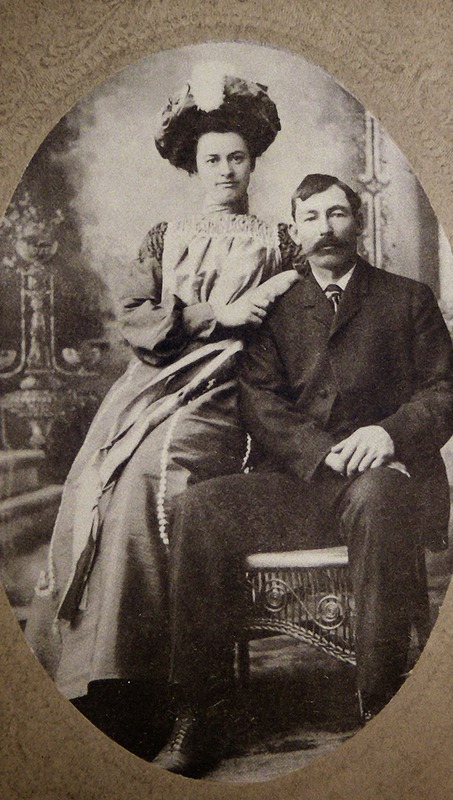 The following year, in October of 1903, he married Grace McCance and brought her to live on his ranch. The couple made the trip from Maxwell in a covered wagon. Grace, born in Cass County, Missouri, in 1882, had come with her family to a Custer County homestead in 1885. She was eighteen in the spring her family moved sixty miles west to the Bill Sherman place on the Birdwood north of Sutherland. The historic Birdwood School on the grounds of the Lincoln County Historical Museum in North Platte. Before Grace could use her new second grade certificate she had met and married Bert and moved to his McPherson County Ranch. It might be well to mention here that she taught her first temr of school for a salary of $15 per month and her room and board. Her salary the second year was $30 a month and she lived at home. The second grade certificate would have enabled her to earn as much as $45 per month. The Snyder’s first home in the valley, near a spring-fed lake, was a five-room sod house with wooden floors and ceilings. The majority of sod houses of that period were one or two-room affairs with dirt floors and no ceilings, merely a pole and sod roof to keep out the weather. This roomy structure had a large living room, a kitchen (with inside pump and sink) and three bedrooms. 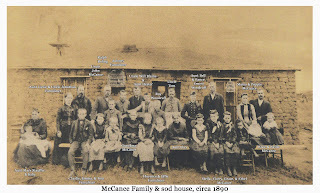 Their daughter, Nellie, born in 1905, was the only one of their four children to live in the sod house. By the time Miles was born in 1906 the family had moved into a three-room frame house some forty feet north of the soddy. Two more daughters, Billie and Bertie, were born in 1912 and 1914, respectively. By 1908 the Kinkaid Act (passed in 1904) had sounded the knell of the open range in the Sandhills and homesteaders were moving into the country by the hundreds. This act permitted a homesteader to file on a full section of 640 acres, as compared to the original 160 acres of the Homestead Act of 1862, and “Easterners” were eager to take advantage of it. Since Bert had already used his earlier right by filing on the Squaw Creek quarter, he could now file on only an additional three-quarters. This he did claiming the land to the north and west of the Patterson place. When surveyed, the Snyders found that their new frame house was just barely on the south line of the new tract. Since all the old corrals and sheds were south of the house, they had been moved or rebuilt north of the house, thus fulfilling the “improvement” obligations necessary to “proving up” on the Government land. In 1912 the Snyders built a two-story, four room addition onto the original three rooms and added a two-story frame barn and garage, along with a set of new corrals to the earlier out-buildings. The garage was necessary because they had just bought their first automobile, a two-seated, four passenger Ford with a wooden body, carbide headlights, a huge rubber ball beside the front seat on the driver’s side that honked the brass horn protruding from the front beside the engine, and back doors but no front ones. The Snyders soon found that this was a good idea. The Sandhills roads being what they were, the front seat passenger often had to leap out in a hurry and give the car a push through the sand before the engine died. A door would have gotten in the way. One of the first cars in the country, it did well to hold together during the twelve years its owners put it over the crooked trails that passed for roads in the Sandhills. Along with the rest of the early McPherson Countyites, the Snyders endured blizzards (the terrible storm of 1913 killed half their cattle), prairie fires, drouths, and lack of mail and school facilities. During their first years on the ranch they had to go so far to get their mail that they seldom enjoyed that privilege more than five or six times a year. Then, in 1917, when no one else would have the little Lilac post office, Grace agreed to take it in and serve as its postmaster. Up until then it had been moved about over most of the western half of the county. It was to stay at the Snyder place nearly twenty years. The mail came out from Sutherland (on horseback or by horse-cart of car) twice a week at first, later three times a week. Several families used the little post office and mail days were big days at the ranch. 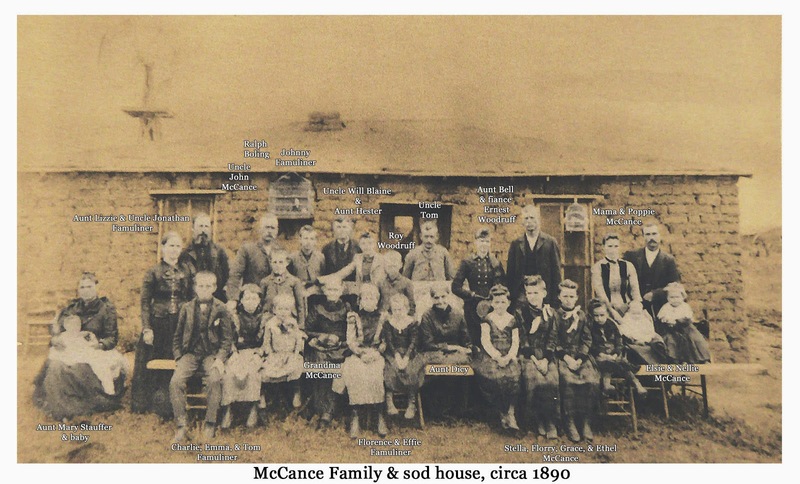 Most of the homesteaders who ringed the Snyder ranch were bachelors and it was several years before enough families with children were near enough to make possible the organization of a school district. When this came about it was a large district, with most of the children living in the northeast part of it. 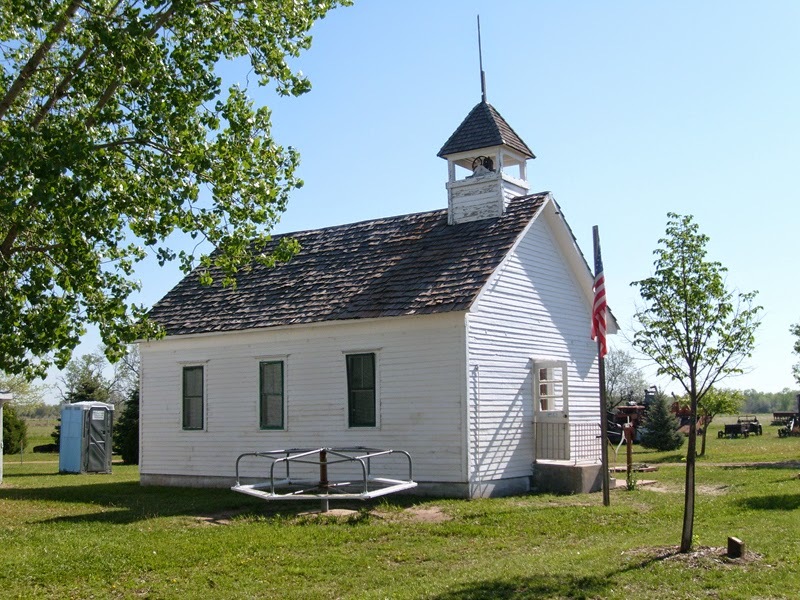 The schoolhouse, built in the center of the district, was five miles from the Snyder ranch. Nellie was ten and Miles was eight when they first rode off on the ten-mile round trip by horseback to the new little schoolhouse. Until then their mother had taught them at home and they started in about where they would have been had they been in school regularly. The first term of seven months was further shortened by the death of the teacher, Florence Hatch, a month before the end of the term. Other pupils at that long gone little Hllsdale school were the Pinkerton, Clifford, Powell, Frazier, Kirts and Dale children. Nellie graduated from the eighth grade in Tryon, where she boarded and roomed with the Tom Conroy family, then went to Maxwell High School, where she graduated in 1923. Later she taught the 1925-26 term of school at the Diamond Bar.